You will be able to have the other 6 Digimon join your team by rescuing them via the Help Wave feature. In this version 2, you can use other’s Boss enemy that you have defeated as the playable character. Area 01: PicoDevimon , Gazimon , and Numemon . Area 02: PicoDevimon , Monochromon , and Numemon . Area 03: Cockatrimon , Monochromon , and Dokugumon . Area 04: Cockatrimon , Devidramon , and Dokugumon . Area 05: Mammon , Devidramon , and Dokugumon . Area 06: Mammon , Devidramon , and SkullMeramon . Area 07: Mammon , SkullMeramon , and MetalSeadramon . 2. Connecting your Digivice with the Digimon Analyzer (Koushiro’s Laptop) will also allow you evolve your Digimon into the Adult stage (on the version 2) unconditionally without the battle requirement. 3. To catch the extra Digimon you need to utilize the electric HELP wave. The HELP wave will appear randomly during shaking, or after battles. You have three minutes to get the HELP wave to fill up and press the button when “CATCH” appears on the screen. You must then fight a Digimon guarding the Digimon in the HELP wave. If you win, the Digimon being guarded will join your team. If you lose, you may re-encounter the HELP wave later on in the Island. 4. 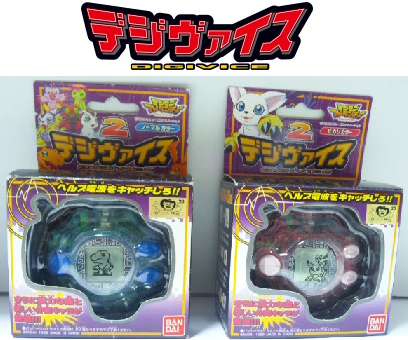 To get Veedramon with the Digivice Version 2, you need to Connect with the Digimon Analyzer OR get all seven of your Digimon to evolve to Perfect and complete the map; if you succeed in getting the HELP wave, V-Dramon will become your friend. Tailmon to Angewomon to Holydramon.